Each year homesteaders and gardeners look forward to the arrival of those delightful purveyors of gardening dreams – Seed Catalogs! This is the time of year when the promise of a perfectly manicured, productive, and miraculously low maintenance garden is alive and well. Long before the soil warms, the first weed sprouts, and good intentions give way to busy summers, these gems tempt us with visions of ‘candy-sweet’ corn, crunchy cucumbers, and perfectly plump tomatoes – Garden Utopia! Never will our plot be as productive, tidy, and green as our mid-winter dream garden. But just because the reality of gardening can be messy and unpredictable, we won’t give up. As we survey our tangled gardens in July, the work seems insurmountable. Dream garden? Hrmph…more like a nightmare weed patch! We should have picked those beans days ago. Cabbage worms munch happily on our broccoli, over there next to the weedy pea patch. We seriously consider throwing in the trowel. But when the garden catalogs grace our mail in January, we forget the weeds. 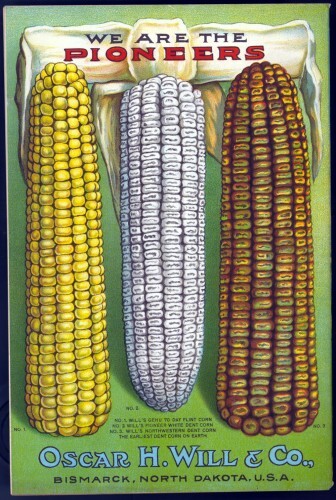 We forget the bacteria wilts and squash bugs. We dream of tidy rows of beans, well trained tomatoes, and mulched paths (yes, paths!) leading to sparkling fountains and potted topiaries. These are the stuff that garden dreams are made of! Like generations of gardeners before us, we eagerly peruse the varieties of peppers, onions, squash, and tomatoes. Promises of plentiful harvests and floral perfection captivate our attention while the garden hibernates outside. 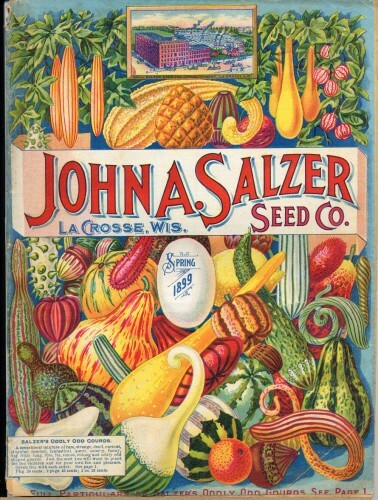 Early garden catalogs were little more than lists of plant and seed varieties and their prices. 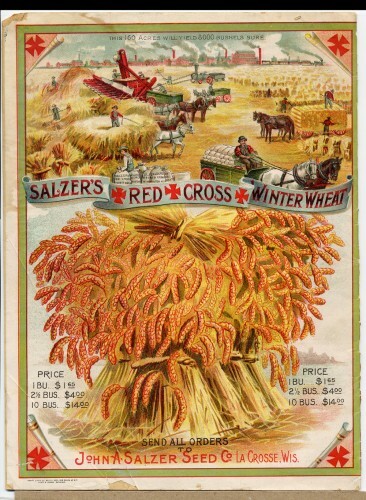 The evolution of seed catalogs has brought us a long way from these early lists. The catalogs that arrive in your mailbox contain photos, illustrations, descriptions of plants, planting and care instructions, hardiness zones, and a wealth of information to rival gardening books. In addition to offering plants and seeds, today’s gardening companies often sell books, kitchen gadgets, fertilizers, pesticides, gardening tools, and clothing. Who needs to go to the garden store when you can curl up beside the wood stove with a few seed catalogs and a cup of tea? 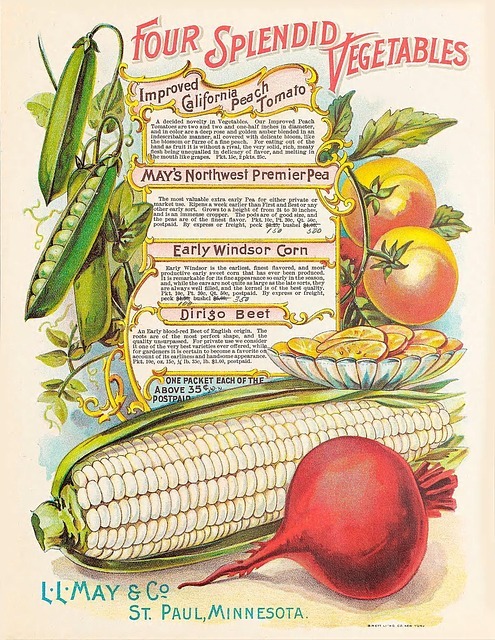 So, as you ponder which variety of bean to order this year, take a moment to appreciate the history of seed catalogs and the fine companies that produce them. It takes quite a lot of work to compile the wealth of information included in their pages, making it just a wee bit harder to choose which varieties you will plant in your garden this year!